Please Leave Us Reviews! We love to hear from our patients! Gerat Dentist! WOW! I never believed I would ever be recommending a dentist. Dr. Sekowska and his associates are exceptional. My experiences with her and her whole staff have been enjoyable. If you’re looking for a dentist, this is the place to go. Dr Sekowska is amazing! She is always works with me to make it as comfortable as possible.She’s gentle and knows what shes doing. 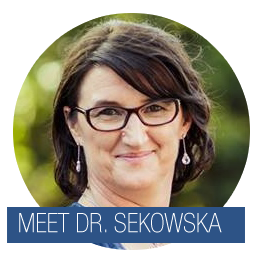 If you are nervous regarding dental work – go and see Dr. Sekowska … seriously! I’ve already referred several people to her who agree that she’s the shizzle.